Playstation Plus users are looking at a powerhouse month for games in October. 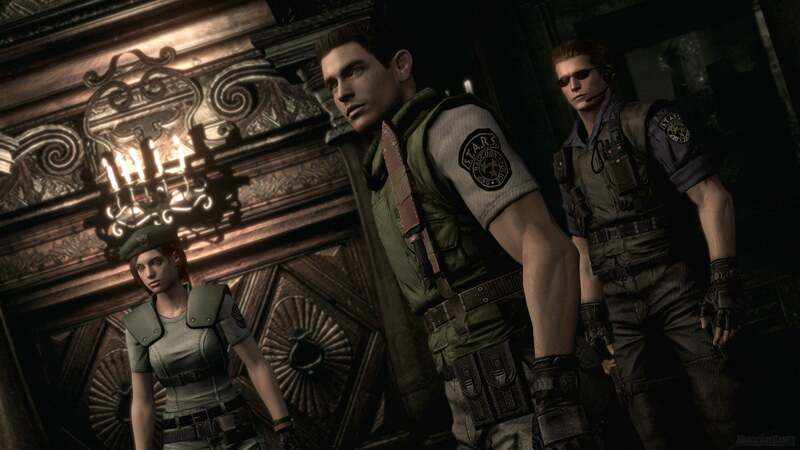 If you've never played Resident Evil, there's officially no excuse for missing out on its wonderful remaster. Remember, these games might be "free" but still require an active Playstation Plus membership to download and play. Love my GC copy, but how does the 'new' control scheme work in REmake HD? It's an improvement, but I find with games like Resident Evil you'll get used to any control scheme after the first hour. You get a Jill Sandwich, and you get a Jill Sandwich, everyone gets a Jill Sandwich! PSPlus has been quite good the past few months and while it won't hold true for most people, I'm liking the recent focus on Visual Novels for Vita lately. Gives people a chance to try new genres risk free. Hope this isn't.... Chris' BlOOD!!?? I'm into this month's PS4 titles, but I haven't been impressed by much over the past few previous ones. From Dust is pretty good. I bought it when it came out. I think Code Realize is another otome game. What's going on Sony? Can't we get some bishojo action as well? Never played the original RE and haven't looked at transformers either. Noice!